Let’s face it! Funerals are in no way a fun event to organize. Usually, people get excited at the thought of organizing an event. From choosing the décor to deciding on the outfits and menu. However, this is one event that most people dread at the thought of organizing. However, death is inevitable and this ceremony must be organized whether you like it or not. If you are given the responsibility of organizing a funeral service then these tips will surely help you out. As soon as you receive the news of the death of a loved one, you are bound to be in shock. This may take a long time to process and you will not be in the right state of mind to even move a limb. However, it’s important to gather yourself and contact the relevant people. Firstly, you must contact all the relatives and friends of the deceased and make sure you make it known that the individual has passed on. You could even post this on your social media or local newspaper along with the timings of the funeral ceremony. 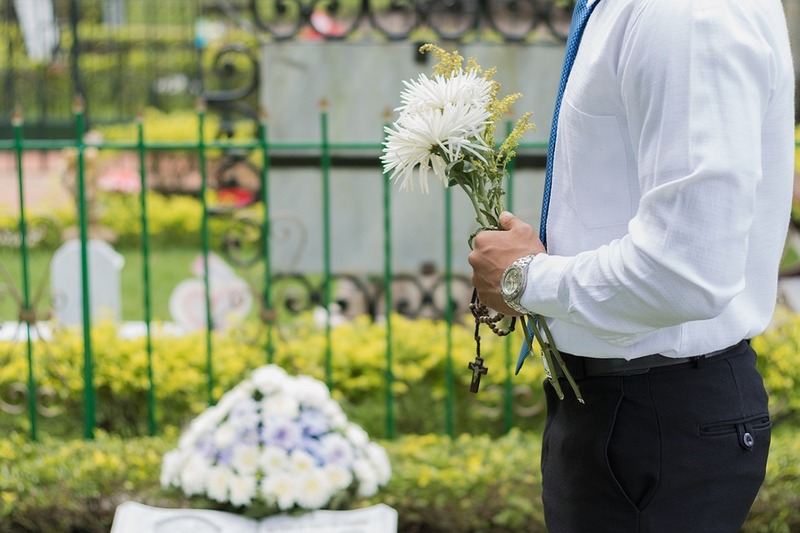 Thereafter, you must hire a funeral director who will make the necessary arrangements for the funeral ceremony and even handle the embalming and cremation procedure. Before the deceased had passed on, there might have been some wish that the individual must have expressed during his/her lifetime. For example, if they wish to be buried next to their late mother then you should host the funeral at this venue. So try to make this wish come true if the circumstances permit. Apart from this, take the wishes of the family members into consideration and try to organize the funeral by giving their requests some importance too. During such a delicate and difficult time, it is important to communicate effectively so that no one is left with any regrets later on. Most people tend to write an obituary and publish it in the newspaper. Although this can be done, you can also pay tribute to the deceased in your own unique style. It could be something memorable such as playing a slideshow of all the fun times that you’ve had with this individual or even read a note from his/her favorite book or a note that was left behind by the individual. When writing the obituary, make sure you get the family members on board so that you gain more insight into the individual’s life and write an obituary that is meaningful and close to your heart. Goodbyes are never easy! There is no doubt that this is an extremely difficult period in the life of an individual. Dealing with the loss of a loved one is no joke! However, it is inevitable too. Therefore, it is important to deal with this and organize a funeral to pay tribute in the nicest possible way to the one who has passed on.